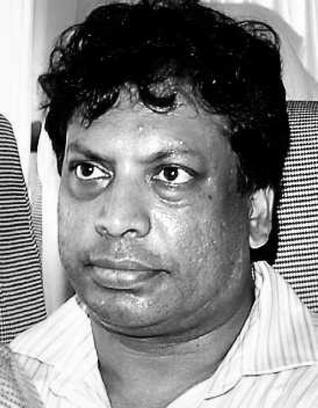 The arrest of M.V Prabhu Daya’s master Gordon Charles Pereira has exposed the differential treatment meted out to Enrica Lexie and Prabhu Daya by the authorities. Capt. Umberto Vitelli, of Enrica Lexie, the Italian vessel which shot dead two Indian fishermen, is still a free man almost a month after the incident. The authorities are using two entirely different yardsticks. No action has been taken against the captain of the Italian vessel which committed a more serious offence. M.V Prabhu Daya was involved in an accident, but the Enrica Lexie incident was a deliberate murder by shooting. There’s another aspect also. The crime committed by Enrica Lexie is higher in gravity compared to that of Prabhu Daya. Enrica’s was an outright murder. Experts in the shipping industry has pointed out that it was a pre-meditated killing for a reward. For every pirate killing they get a reward. With pain we sympathise with the families of the fisherman who lost their lives in the tragic accident. We pray for the families and may god bless all the families who lost loved one. Please register your support here by posting your valuable comments, suggestions and feedback. It pains us to hear about our good friend & fellow shipmate being treated in this manner. We know that the police are acting under orders but we request them to show understanding & earn our respect. It is difficult to understand the powers behind this episode of false accusations actions being taken on basis incomplete/insufficient facts. Would like to convey to Capt.Gordon to stay strong & eventually the truth will prevail. Mariners have respect for Fishermen all over the world & we offer our Condolences to the families of the fishermen who died in this incident. At the moment it appears that the Kerala Police have arrested Capt. Gordon on the basis of the second Mates' Fathers' accusations only. We understand & support a thorough investigation in this matter but don't approve of the arrest of the ship's Master Capt.Gordon Pereira. Capt. Gordon Pereira should be granted bail & he will be available for the investigation at all times. IT WILL ALWAYS FLOAT ON TOP. I strongly believe that the entire issue has been hijacked by selfish politicians, an insensitive father and the biased media of Kerala - who are all playing the all-too-familiar game of Vote Bank Politics. Gordon has been made a scapegoat because of an unfortunate accident which, we as mariners, know can happen to anyone with the way the fishermen on Indian Coast operate at night.We as fellow mariners must fight this battle till justice is meted out. You are right Pritam. Our members of CMMI, Cochin Chapter is going to visit Capt. Gordon today. Unfortunately due to my p.m. and night shift today , won't be able to go along. I hope the Divine justice prevails at last. We are doing our bit here at Vizag - Gordon being a Vizag boy and a darling of the marine community here. He is known as extremely courteous, friendly and good in his job. But, you guys at Ground Zero are very critical in the fight for "Justice to Gordon". Being at the scene, you guys could lift his spirits, back him to the hilt and create awareness among the public and press about his role in the entire incident. People like Capt. Jacob and Capt. Manoj Joy are setting great examples in marine solidarity. Let's do our bit and I'm sure - TRUTH WILL PREVAIL. Let's only hope Gordon's agony ends soon. It appears that Gordon has been arrested solely on 2nd Mate's fathers statement, the police have not carried out due diligence and waited for 2nd mate to appear himself. As suggested above Indian Police has two different yardsticks one for the foreigners ( could be any other nationality including Pakistanis) and one for the Indians, as for the Italians either way we cannot do anything as our govt takes orders from Italians. Hope Gordon is proved innocent at the earliest and left in peace. Capt.Pereira should be granted bail without second thought, to avoid entire Indian Marine Community come to street & fight for justice for him. G.Suresh, FPS, MSC Crewing Services, Chennai. My prayers are for the Welfare and Safety of Gordon in these difficult times! Justice and truth will prevail and while my condolences reach out to the deceased Fishermen's families; my confidence, respect and memory of my friend Gordon remains firm enough to see him through this unfortunate development. Gordon if you are reading this ...hold your head high and your friends are with you! You guys are doing a GREAT job and Service to humanity. You have my full support and please let us know if anyone of can assist in any manner. It's deeply disturbing to see someone like Gordon go through this ordeal. Let's all wait for truth to come out and settle the matter. Meanwhile some one somewhere has to do something to stop this criminalization of the seafarer. Our prayers are for the bereaved families. This is a moment for all sailors to stand together in support of Capt.Gordon and let our politicians understand that its not right to make loose statements for gaining some mileage for the sake of few votes, without a proper understanding of the situation. We deeply sympathize with the families of the deceased due to the unintentional incident,however surprised to see different yardsticks used to handle two incidents happening within span of few days by the local authorities. We talk of authorities being very irrational and biased when Indians are ill-treated in foreign lands like Australia, U.K, U.S.A etc, but why no voice raised when we are treated the same way in our own country. I request people in high positions elected by the people for the welfare of the people to be more careful and understand the situations before they make statements rather than being very short sighted for the sake of few votes. I am very pleased to see the response from all sailors! We the officers and crew of M.V.Govind Prasad (ESSAR SHIPPING ) stand by Capt.Gordon to support in whichever way we all can. I am ex APJ and we did our exams together.He is a perfect gentleman and thorough bred officer. Please let me know how we can be of any assistance.I regularly transit the west coast(Vizag - Hazira ) and have noticed that the fishing boats keep coming close to the vessel and then suddenly alter their course at the last minute by which time vessel may already have taken an avoiding action as per the boats visible intention only to land in a close quarters situation and in some cases it may turn ugly. Moreover, inspite of the clear Night Orders left by the Master,the OOW's not very often report the proximity of the fishing traffic to Master in sufficient time for an early avoidable action on behalf of the Master. Have been following the incident closely. Hope the good sense will prevail upon second officer and tells the truth on reaching India. We support the Truth & I support Capt.Gordon Pereira. Having sailed together (as Junior Officers in Apeejay Line) I know of Gordon Pereira to be very sincere, hardworking & truthful. He would never try to harm anyone and definitely not throw a person overboard as claimed by the second officer's father. Flag State, Singapore, should be involved & monitor the proceedings to ensure that Capt.Gordon is treated fairly. I feel it is unjust to arrest the Master on the Father's accusations. Hope good sense prevails over the powers that be & the Kerala police & Capt.Gordon should be granted bail at the earliest. It is disgusting that film stars can mow down people on the pavements and get away in drunken state, and here we have a responsible citizen, a highly skilled professional being held till proven innocent!! Jago sailors jago. We pray Gorden and his family find the strength from gods grace in this hour of need. Where do we Indians stands with the " Fair treatment of Seafarers in the event of MARITIME ACCIDENTS"???. Does any one -The police, Investigation team, media, Indian maritime Authority consider legal obligation of India as a signatory to Joint IMO/ILO guide lines by Resolution LEG. 3(91) ADOPTED ON 27 APRIL 2006 ??? Let us unite for a fair treatment to Capt. Gordon... " Jai Sailor"
I feel sorry for Capt Gordon who has been arrested when the investigation is still in progress and the facts are yet to be established . There are so many loose ends in the story . Its disappointing to see such step-motherly treatment to an Indian in his own country when no action was taken against the master of the Italian ship which killed two Indian fishermen . We demand that a thorough investigation be carried as soon as possible , the master immediately released and the guilty be punished .Why this delay in interviewing the 2/O , why can't the police go to Srilanka to interview him soonest to avoid any distortion in his story later on ? Hope you get through this mess quickly captain. In this hour of need and support we stand by you! May you come out of this situation stronger ..
All my wishes with your family.. just hang in there,this too shall pass! Everybody is saying we stand together and we fight together. Where is the actual fight people? We Indians are treated like dogs in our own country. Why do we elect these people?? Why our government is treating that kasab & those Italians like kings and we citizens like dogs. We need a real & crude fight against the government not just this internet debacle. I hope some senior captain will take action and lead us all. Dear friends the best way to express our feeling for Capt.Gordon is to act. Let's do something which could free this mariner from the clutches of another Political drama, hyped by media. I am presently sailing & would love to chip in with whatever I could. I humbly request the veterans to lead from front & the youngsters to offer whatever support is needed to make this happen. Fishing traffic has been a thorn in the flesh for every mariner. In addition to damage to the fishing nets & propellers alike, the lives of the fishermen are at stake. Loss of any life is unacceptable for sure. Why can't a recommended lane be dedicated for sea going vessels to follow. This lane shall've to be avoided by the fishing vessels other than at intermittent precautionary areas, where they could cross-over. Promulgation of circulars & explaining the fishermen of the advantages in this system would be a win-win situation for both the parties. definitely as a team we could think of better solutions & move the authorities to implement same. I am sure where there is will, there is a way. Dear friends, let's use this as a platform to discuss our next course of action, I mean action & not just discussion! Hoping for a positive move. Count on me, I am already in it. Capt Gordon Periera’s arrest is another example of criminalization of seafarers. Our sympathies and condolences are with the families of the fishermen who lost their lives in this unfortunate incident. Criminalisation of seafarers mirrors nowadays attitude to those who devoted their lives to seagoing career. Most immediate, of course, is the direct concern I am sure we all share for Capt Gordon under detention, his family and loved ones. We can only begin to imagine how dreadful an experience it must be to endure a detention in your own country, separated from your family, without any charges having been proven against you and no idea when your ordeal will end. In solidarity with my colleagues in this profession I like to emphasize that Capt Gordon should be released on bail immediately until a thorough investigation has taken place and the truth has been ascertained. The second officer in his initial statement has reportedly acknowledged falling overboard by accident and the statement made by his father seems to be made as an after-thought. I will be glad to assist in any way we can. Please keep us posted on the developments. It is the time that we should ask for rights and not to be treated as scapegoat.Also,a request to our Admin. to make stronger and effective laws for fishing vessels as they pose great danger to those trading in Indian waters. Its disappointing to see such step-motherly treatment to an Indian in his own country when no action was taken against the master of the Italian ship which killed two Indian fishermen. With pain we sympathise with the families of the fisherman who lost their lives in the tragic accident. Let our politicians understand that its not right to make loose statements for gaining some mileage for the sake of few votes, without a proper understanding of the situation. Notwithstanding the tough 48 hours Gordon has spent with the regular thugs, we are delighted to hear that the second mate has confessed to his attempted suicide and was not thrown o/b. That exonerates Gordon completely. Also the fact that he was called to the bridge 15 mins after the incident will go a long way in strengthening Gordon's stand and proving his innocence. Let's keep up the pressure and mobilize as much support as we can. 1) A press conference was organized by the Merchant Navy Officers Association and was held at VJF Press Club this morning from 0900 to 1030 hrs. Office bearers of MNOA and CMMI addressed the media. All major electronic and print media were present in large numbers. The case was presented and our demands, notably the release of Gordon on bail, were submitted to the press. The presence of Gordon's 88 year old father, Mr. Fredrick Pereira in the press conference was a big bonus for us. 2) A delegation of MNOA members met the Minister of Ports and Infrastructure, Ganta Srinivasa Rao yesterday at the Circuit House and he has promised all help in the case. 3) The President of MNOA is also in touch with Ms. Christine Lazarus, MLA from the Anglo Indian community - to which Gordon belongs - and she too has been positive in her response. 4) Word has been sent to Capt. PV Mohan, Chairman of National Shipping Board who is in New Delhi now and he has promised to take it up with the Union Minister of Shipping, Mr. GK Vasan. 5) Efforts are on to fix up a meeting with Mr. K Rosaiah, Governor of Tamil Nadu to take up the issue. Hope all our efforts and the prayers and good wishes of all of Gordon's friends will take shape soon and we will see Gordon out of his ordeal at the earliest. Please do not let up on your pressure and please try to mobilize public / political support as much as is possible. "To wish to be well is a part of becoming well"
Justice and truth will prevail.. I was witness to the SAR of the 2/O when the Master of our vessel was helping out Prabhu Daya off the Srilankan Coast.The way he was interacting and handling the situation, I got the impression That Capt Gorden was extremely professional ,calm and sincere given the tough circumstances. Really sympathise with him and hope all ends well and as a few people have rightly said --something comes positive comes out to minimise Fishermen -Merchant vessels conflicts. 2O seems to be the key guy and wonder why the arrest the Master ?? Iam extending my support to stay united with the fellow bloggers for this cause seeking fair justice and early release of Capt Gordon. Truth will prevail and eventually virtue will be vindicated. I am writing to express my support to Capt.Gordon. I hope that he is released without delay, and given a chance to prove his innocence in court. He has already been convicted by the media before being indicted of any Crime. Our support and prayers are with you Captain Gordon Charles, i hope the Goverment realises that they r vry slow in their action. They cnt keep a captain who has almost 20 years of experience in jail without issuing a bail, when there is no mistake on his part. God bless u Cpt., we r all praying fr u to b released. U will b out soon. Have courage nd faith. I'm sure Truth will finally prevail and you will come out stronger out of this unfortunate incident. Having sailed as a cadet under your astute leadership - I've no doubt whatsoever of your impeccable professionalism as a Master. I fully extend my unreserved support to Captain Gordon and his loved ones . Mariner Colleagues - T thankyou all for supporting him in this difficult situation. I sailed as a cadet with Gordon as my chief mate and have no doubt whatsoever with regards to his marine professionalism and Integrity. My prayers and support to Gordon and his family. Sir- Please hang in there and I'm sure you will come out with your head holding high. The arrest of Capt Gordon is completely uncalled for and is another step in criminalizing the maritime industry. The accident could have happened anywhere, the statement of the 2nd Mate should be taken and not of his father. We as Mariners and I in my individual capacity fully support Capt Gordon. In case there is any mistake attributable to him, then he can be punished but cannot be arrested till the crime is proved. He should be released at the earliest. When will Capt Gordon Sir will be set free?